Hi everyone! 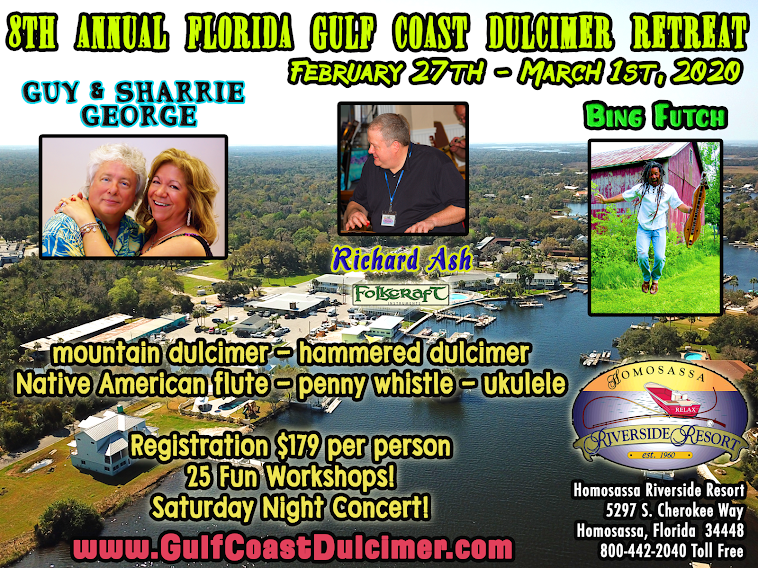 We're just around the corner from our 4th Annual Florida Gulf Coast Dulcimer Retreat and are getting really excited about another great year! Be sure to check out the workshop descriptions and know that there is no pre-registration necessary - just take the classes you want; you're always welcome to change your mind! (We're kind of laid-back like that.) Don't forget to make your lodging reservations - all the info you need is on the right-hand side of this page. Sorry to say, we have had to cancel this year's Hoop-Dee-Doo Musical Revue post-retreat dinner show. Many people just could not make it happen this year, so we'll skip one and come back with even more of an appreciation for it next year at our fifth annual event! If you have any questions, please feel free to direct them to me at bingfutch@yahoo.com and I'll get right back to you with your answer. 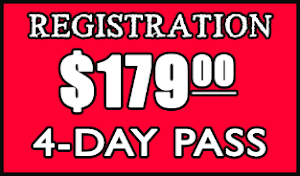 We've got a good number of registrations available, so let your friends know that they can escape the cold and come too! Looking forward to having you with us in Old Homosassa soon!